Urbandale is revolutionizing learning by redesigning classrooms into student-centered learning systems, focusing teachers’ roles on the continual improvement of those systems, and providing the highest quality learning experiences for students. Urbandale teachers are becoming ‘facilitators of learning’ by creating systems of learning in their classrooms that give students greater ownership and voice. This type of learning system doesn’t just increase student achievement, but strengthens professional achievement. Urbandale staff members have a common aim and clear sense of purpose—they understand ‘why’ they are doing what they’re doing—and foster a spirit of true collaboration as they continually learn and improve together. 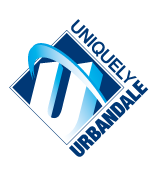 We welcome you to learn more about what it’s like to work in the Urbandale district and hope to see you soon! To view current employment opportunities and substitute opportunities, click the links on the left side of the page. The Urbandale Community School District promotes equal employment and affirmative action to attain a workforce that is representative of the ethnic and gender diversity of our learning community. The Superintendent and Board of Directors intend to provide the resources, support and leadership to ensure that all populations are proportionately represented in our schools to the fullest extent possible. When this is accomplished, all of our students will be better served by having positive role models from our diverse workforce to foster positive attitudes toward the differences and similarities displayed by all persons they will encounter as adults. Persons are recruited, hired, and promoted for all positions without regard to age, race, religion, color, national origin, gender, marital status, disability, creed, sexual orientation, and gender identity. Placement decisions are based solely on applicant qualifications for the position being filled. Equal employment opportunity shall apply to all personnel practices and procedures. All programs and activities are also administered without regard to age, race, religion, color, national origin, gender, marital status, disability, creed, sexual orientation, and gender identity. We invite you to listen to Urbandale students, parents, teachers, principals, and the superintendent share thoughts on how Urbandale is transforming education in order to increase engagement, improve achievement, encourage collaboration, and ignite a renewed passion for learning. Visit the Showcase! To learn more about how Urbandale is transforming education, download the Urbandale District Brochure!